The 66th Annual U.S. 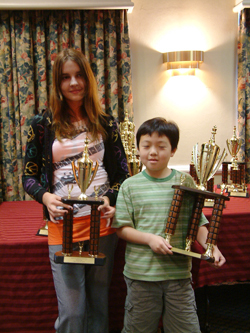 Amateur Championship East Tournament, held in Somerset, New Jersey drew 220 players. 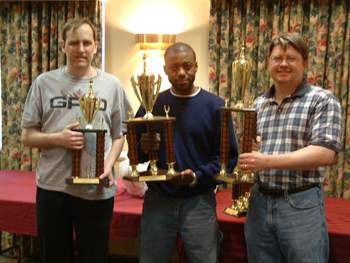 This was up from last year’s event, which was held in the same location, but only had 170 players. With an economy rivaling that of the Great Depression, attracting an extra 50 players could not possibly have been an easy feat. It was made easier by the TDs and staff, who did a great job in making the tournament fun for all. 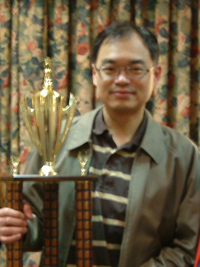 The winner of the Championship section was Sandi Hutama from New Jersey, pictured above. You can see all the results on the MSA link. The photo gallery below includes some of the winners from the six sections into which the tournament was divided. There are only three sections in the Championship event, but there was also a three-section concurrent Scholastic event.